Perspective Shifting in Relative Clauses by Elementary-Aged Spanish-English Bilinguals: A Cross-Linguistic Study. 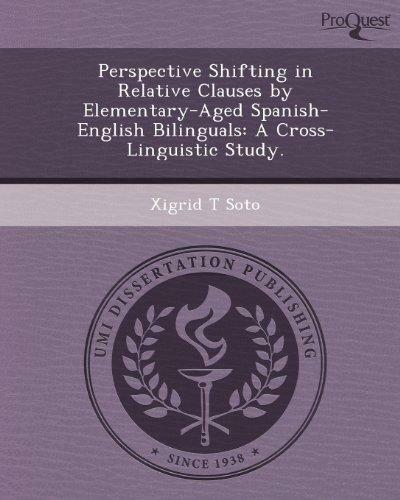 Xigrid T Soto is the author of 'Perspective Shifting in Relative Clauses by Elementary-Aged Spanish-English Bilinguals: A Cross-Linguistic Study. ', published 2012 under ISBN 9781249078944 and ISBN 1249078946.